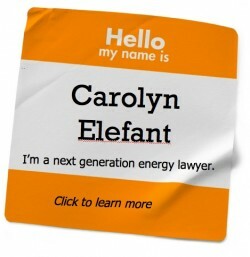 Next Generation Energy Lawyer. 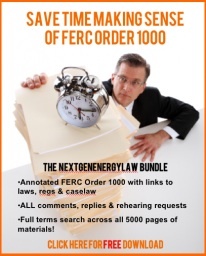 FERC Order 1000. Social Media for Regulated Utilities. FERC Appeals. May Day: FERC’s Demand Response Rule Down! As the month of May draws to a close, it’s May Day for FERC’s Order 745 rule on demand response,vacated by the D.C. Circuit last week. So fittingly,this May 2014 issue of our newsletter offers an indepthreport on the court’s ruling. And there’s also around-up of firm highlights if you’re interested in what we’ve been up to since the last newsletter. May you enjoy this newsletter and the start of the summer! The latest edition of the Next Generation Energy Law Newsletter is now available!You can view it here, view the archive here and never miss an issue by subscribing here. Where is the DC Circuit’s Response to FERC’s Demand Response Rule 745? The New Year edition of the newsletter is now available with the 2013 FERC Appellate Roundup! You can view it here, find past issues here and never miss an issue by signing up for the mailing list here. Don’t miss the latest issue of the Next Generation Energy Law Newsletter. You can read it here. Past issues are available here. Don’t miss an issue, to subscribe click here. Don’t miss the June 2013 edition of the Next Generation Energy Law Newsletter. You can find it here. Missed an issue? No problem. Past issues are available here. To subscribe, click here. The May Issue of Next Generation Energy Law Newsletter is now available with a fresh new design. You can check out the new look and read the newsletter here; past issues are available here. To subscribe, click here. The March Edition of the Next Generation Energy Law Newsletter now available! The latest edition of the Next Generation Energy Law Newsletter can be found here. You can also scan the QR code below: Missed an issue? Past issues are available here. To subscribe, click here. Follow Next Generation Energy Law on Twitter! Follow Carolyn Elefant on Twitter!